Refurbished in 2012, this Grade II listed Victorian property stands in the heart of historic Arundel and combines traditional character with modern comforts. The hotel offers a warm welcome, great food, real ales, wines and spirits. 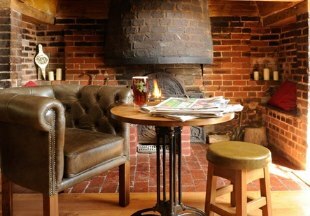 Welcome to this Grade II listed coaching inn, gastro pub and hotel in the heart of the village of Angmering. Recently renovated, the inn now boasts designer decorated en-suite rooms. An ideal base for the races at Goodwood, the Lamb is situated between Chichester and Brighton and just 5 miles from historic Arundel with its impressive castle. 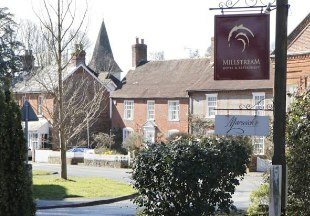 Perfectly located close to pretty Bosham harbour and just 10 minutes drive from Chichester, the Millstream Hotel offers comfortable bedrooms and two restaurants; the 2 AA rosette Millstream Restaurant and the Brasserie. Sandwiches are also available in the bar and afternoon tea is available in the lounge or if the weather is kind, in the lovely gardens. Crouchers Country Hotel is an early 1900's farmhouse complete with coach house and barn, which has been converted and refurbished to house 27 luxury bedrooms, bar and restaurant. Dinner in our 2 AA Rosette restaurant will be a highlight of your stay. A mile and a half from the centre of Chichester, we are within walking distance of the Chichester Marina. Free WiFi. Formerly The Hedgehog Inn, The Curious Pig in the Parlour is a charming mix of a great pub and eating house with 8 en-suite bedrooms furnished to a high standard. Just 7 miles from Gatwick, it’s a great base from which to explore West Sussex or as a stopover for Gatwick Airport. Welcome to our lovely Grade II listed, 200 year old Inn. 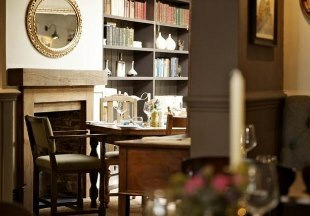 The Royal Oak's award winning restaurant serves a modern British menu including classy renditions of pub classics. We use local ingredients such as Selsey crab and diver-caught scallops to create dishes with a contemporary twist. 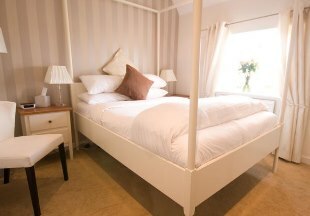 We have six luxurious en-suite guest rooms plus two, two bedroom cottages. The West Sussex Coast and the Witterings nature reserve is about 25 minutes drive away. 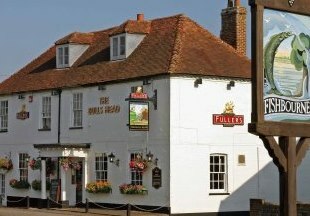 Welcome to the Bull's Head in Fishbourne near Chichester. Fishbourne is home to the famous Roman Palace, built around 43AD and boasting stunning mosaics. The Bull's Head is within walking distance of the Palace. This village inn serves great home cooked food, real ales and fine wines in a relaxed and friendly atmosphere. There are just four en-suite rooms, quietly situated in a converted barn. AA 4 Star Inn. 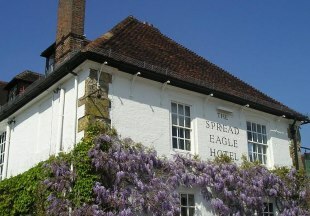 Welcome to the Spread Eagle Hotel in Midhurst at the foot of the South Downs in West Sussex. This award-winning 15th century former coaching inn retains many original features and boasts an award-winning candlelit restaurant, individually decorated en-suite rooms and traditional lounge bar with log fires. There is also a modern spa with indoor swimming pool, hot tub, sauna, steam room and gym. Recently awarded the Johansens Award 2012 for ‘Most Excellent Value for Money’. Welcome to our handpicked selection of some of the best hotels and inns in West Sussex. Ideal for a short break, West Sussex is home to vibrant Brighton, the cathedral city of Chichester and pretty Bosham, right by the water's edge and where King Canute is supposed to have commanded the waves to retreat. Nearby West Wittering with its large sandy beach is a popular destination for families. Inland you will find historic towns and sites such as Fishbourne Roman Palace, attractive villages, winding lanes, woods, fields and downs. Many of the ancient coaching inns in West Sussex have hosted famous people. Over the centuries Elizabeth I, Shakespeare, Dickens, H.G. Wells and even Guy Fawkes are all said to have stayed at the Spread Eagle at Midhurst. 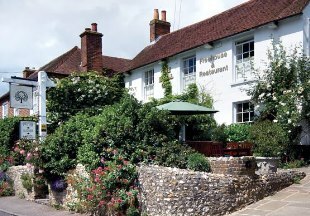 You too can experience the history, charm and character of these old taverns and hotels; browse our choice below of some of the best inns and hotels in West Sussex. "Fishbourne Roman Palace is one of the most impressive Roman sites in England, and the Bulls Head is the perfect base. Check out the 4 Star en-suite rooms, good food and well kept ales. And for a great atmosphere, choose one of the live jazz nights." West Sussex is bordered by East Sussex, Hampshire, and Surrey. 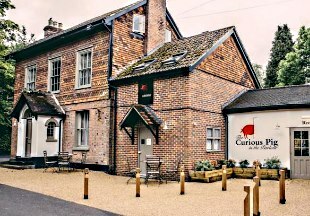 If you wish to widen your search, why not browse through our selection of hotels and inns in East Sussex, Hampshire and Surrey.